"You know what I think the trouble is, Bibiji? For me, India has got something to do with being a child. Something to do with feeling loved, protected and belonging. Maybe even something to do with my parents' own longing...longing to return. For the child in me it is warm and familiar, and for the grown up that I am, it is a strange land, in which I don't know my way around." This is an extract from Leena Dhingra's novel, Amritvela. Amritvela is one of the many novels, which tell a story of migrants. Migrant literature, that is, writing by and about migrants, is a topic, which has commanded growing interest within literary studies since 1980s. People leave their homes to settle in countries or cultural communities, which are initially strange, to them. Most of the migrant literature has been based on its principle channels of mass migration in twentieth century. These include European migration to North America or Australia; migration from former colonies to Europe; literature in the context of work migration and exile literature. Migration literature often focuses on its social contexts in the migrants' country of origin which prompt them to leave, on the experience of migration itself, on the mixed reception which they may receive in the country of arrival, on experiences of racism and hostility, and on the sense of rootlessness and the search of identity which can result from displacement and cultural diversity. Issues of migrants' identity have been main concerns that are taken up by numerous writers, including most notable writers like Salman Rushdie, Rudyard Kipling, Hanif Kureishi and Jhumpa Lahiri. The haunting question of 'who am I?" echoes in most of the novels based on migrant experience. In her novel Amritvela, Leena Dhingra, an Asian woman writing in Britain, has her central character ask the question "Who....am.....I?" on four separate occasions. Amritvela tells a story of Meera, the protagonist of the novel who visits her homeland, India. Meera, who was taken to England as a child by her parents, is now married to an Englishman and has a young daughter - so Meera's East-West identity is tied to both space and family. The novel follows her three-week-long visit to India, to the house of her great aunt, and closes at the point of her return to India. In effect, the novel details the internal struggle between the two halves of Meera's divided self. 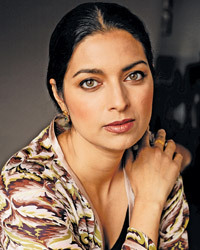 It is a struggle motivated by the classic East-West binary opposition, which sees Meera attempting to sort out which half of her identity is the dominant one, only to find at the end of her struggle that no such opposition exists and that her identity is not something which can be separated out or neatly divorced. Ultimately she realizes that she needs to 'integrate and fit together again' and accepts her diasporic identity. Meera in Amritvela, who visits India, begins as a search for a homogeneous entity she can be part of. She wants to believe the notion of 'No place like home', but still doubtful whether her home is India or England. She strongly believes that there is a harmonious, idyllic and Gandhian India. But she soon finds out that even her family home is not an 'Indian' house in any pure sense. When she looks around the drawing room (A European concept in itself), Meera sees the 'familiar mixture of India and Victorain'. When she wanted to buy a pair of Indian style slippers, her cousins recommend her to go a large department store. But she refuses that and goes to the bazaar, and there she is greeted in English by the shopkeeper and brings her a pair of 'export quality' sandals. This scene in bazaar demonstrates the fact that she is actually most comfortable somewhere between two cultures, where the multiple threads of her individual identity can be woven together. It is obvious that no one feels like home in any strange land. But most of them adapt to the strange atmosphere using different strategies. The most important thing is, many of them survive, and live happily ever after. Their stories are not always fairy tales, but every story tells something exotic. Most writers have grabbed those exotic qualities in migrants' lives. 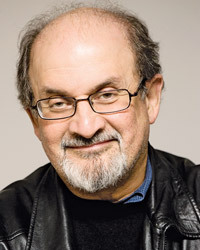 Following extract shows how Salman Rushdie has looked on migrants' identity. "I, too, have ropes around my neck, I have them to this day, pulling me this way and that, East and West, the nooses tightening, commanding, choose, choose. [.....] I choose neither of you, and both. Do you hear? I refuse to choose.